Having such a unique experience in implementing investment projects within the country, NIBULON aims to expand its investment plans in other countries, in particular in Egypt. Recently, leading information agencies of the African continent, referring to the Minister of Supply and Internal Trade of Egypt, have published information about NIBULON’s plans to implement its investment project in the Arab Republic of Egypt. We would remind you that NIBULON has already reported on its plans to implement its own experience in the revival of inland waterways. NIBULON is one of the major suppliers of Ukrainian grain to the Egyptian market. Over the past ten years, NIBULON has exported more than 12 million tons of Ukrainian wheat, corn, sorghum and soybean, having taken an active part in solving the country’s food security issues. Thus, NIBULON has opened a large Egyptian grain market for Ukrainian grain, having helped our commodity producers to meet the competition and to sell their products in this country. Today, NIBULON is known in Egypt as a Ukrainian national company and representative of Ukraine in Egypt’s market. The logical stage of this cooperation was the intentions of NIBULON, the leader in developing Ukraine’s logistics infrastructure, to share its own successful experience in revival of rivers as the country’s transport arteries in the form of real investments in logistics infrastructure. Within the framework of this cooperation and on the initiative of the Food and Agriculture Organization of the United Nations (FAO), the main task of which is a fight against hunger, on December 6, 2017, (Cairo, Egypt), FAO and NIBULON signed the Memorandum of Understanding to focus on improving the efficiency of Egyptian companies involved in grain production, storage and transportation. As part of these agreements and with the support of the Egyptian leadership, a series of meetings and mutual visits between NIBULON’s representatives and leading experts of the Ministry of Supply and Internal Trade, Ministry of Transport, Ministry of Land Reclamation and other government agencies that are closely connected with these issues were held. Today, an organization council, established under the Egyptian Ministry of Supply and Trade of Egypt, and NIBULON’s working group are actively exchanging the information on the opportunity of investing in Egypt. The company’s upcoming plans include additional visits of NIBULON’s specialists to Egypt to finalize the investment project, which will include modernization of Egypt’s elevators, construction of new ones, and construction of a fleet at the country’s shipyards for grain transportation along the Nile River and its distributaries. “This is a long-term investment program. It provides for a total investment of up to USD 2 billion and it is designed for 7-10 years”, said NIBULON’s General Director Oleksiy Vadaturskyy. “The first stage of this project in 2018-2019 is investment of up to USD 200 million. The program implementation also provides for the opening of NIBULON’s enterprise in Egypt that will work in accordance with the Egyptian law. This program will increase the competitiveness of Ukrainian agricultural products and will enable one to sell products directly to end consumers in Egypt, thereby increasing food security of this country. Egypt’s economy is on the rise. The country has a clear development strategy. And our company feels full support from the government of the Arab Republic of Egypt on future projects implementation. We have already shared these plans with NIBULON’s strategic financial partners, namely with EBRD, EIB, IFC, and local financial institutions”. At the same time, NIBULON will continue to invest in the Ukrainian economy and increase its investments. 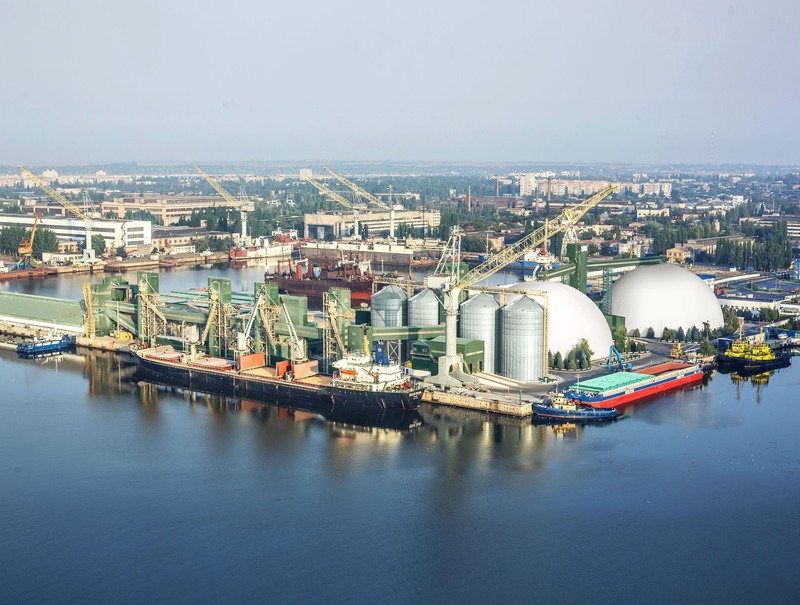 It is planned to start construction of two transshipment terminals in Zaporizhzhia and Dnipropetrovsk regions this year. In addition, the company increases the capacity of its transshipment terminal in Kremenchuk (Poltava region), implements its investment program in shipbuilding (cargo fleet construction), as well as reconstructs NIBULON shipbuilding and repair yard in Mykolaiv.